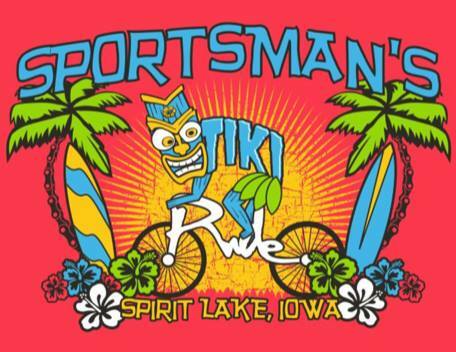 Sportsmans Annual Tiki Bicycle Ride: 100’s of riders (all ages) with 40, 24 and 16 mile routes. Prizes awarded @ 8pm at Sportsmans. Proceeds go to Dickinson County Trails. Cost is $25 if you sign up and pay before July 10th, $35 day of event. 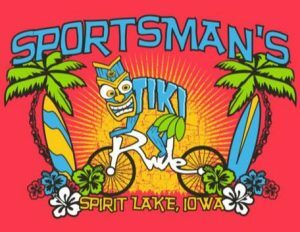 Fee includes a moisture protection shirt and lunch (Burgers, Hot Dogs and Oak Tree BBQ at Sportsmans). Plus many prizes and games along the route. Also, there is a FREE SAG truck that is on call from 9:00am – 7:45pm. At any time you can call them to pick you and your bike up.